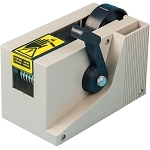 Automatic Definite Length Tape Dispenser. Creates a 3/8 inch wide fold on the leading edge of the tape as it is being presented. 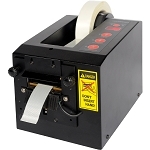 Perfect for small electronics, consumer goods, items that require assembly or setup by the user, or anywhere a piece of tape needs to be easily removed. Dispenses in either a random or pre-determined lengths. Has 3 modes – 1 random mode and 2 different automatic modes. 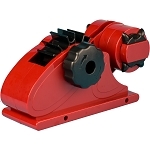 Can be used as a standard definite length tape dispenser without creating the tab. Uses most types of packaging tapes including filament tapes. Ever wish you had a machine that could place a 3/8 inch wide fold on a piece of tape for ease of removal from a product? 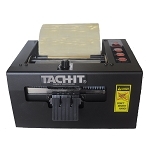 Now Tach-It has the machine, our Model #6250. 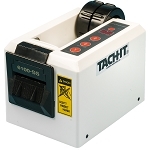 Used for the packaging of electronic and consumer goods, the Tach-It #6250 creates a tabbed piece of tape and then dispenses and cuts it to either a pre-determined or random length. 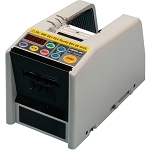 The Model #6250 can feed virtually any type of packaging tape up to 2 inch wide, has a small compact design, and utilizes our exclusive tri-mode automatic setting feature, which allows the operator to dispense a random length of tape, dispense a pre-determined length of tape at the push of a button, or dispense a pre-determined length of tape as the previous cut piece of tape is removed from the machine. 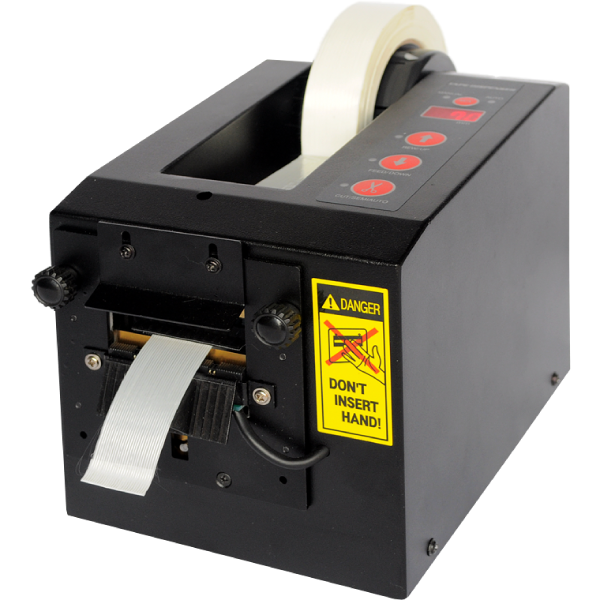 The Model #6250 can also be used as a standard definite length tape dispenser without creating the fold while dispensing. 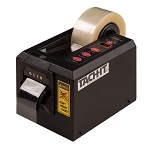 Tape Width: Maximum – 2", Minimum - 3/4"
Tape Length: Maximum 39.3", Minimum - 1"
Maximum Tape Roll Diameter: 7 3/4"